Photo of Corine and George Duke from the 2010 Capital Jazz SuperCruise. 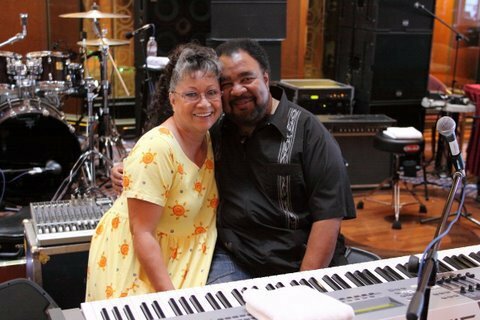 Rest in peace, Corine, longtime wife of funk/jazz fusion pianist George Duke. She died this week due to complications with cancer. Shine on, Mrs. Duke! I had the pleasure of meeting George and Corine on the 2008 Dave Koz & Friends cruise. What a lovely couple and a great woman. May she forever R.I.P. My condolences to her love ones! I have learned more from George Duke than any other keyboardist. I had the good fortune of meeting him last year and I also lost my own mother to cancer just a year ago this month. Hang in there, George! Thank you for the many years of great music! Holding you and your family up in prayer! Hold on, be strong, you can make it! It is August, 2012, and I am just finding out about this. I am deeply sorry to hear about your loss, Mr. Duke. I offer my condolences. I am a fellow musician, who absolutely loves your music. I know you loved her very much. My prayers go out to you and your family. May the Alnighty comfort you.